Distemper is a dangerous disease of dogs’ as there is no cure. It is a widely spreading disease within a short period of time and a serious disease caused by a virus that attacks the respiratory, gastrointestinal and nervous systems of puppies and dogs. Canine distemper belongs to the Morbillivirus class of viruses, and is a relative of the measles virus, which affects humans. 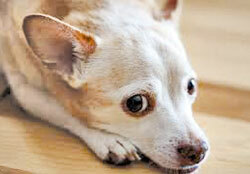 Small puppies and older dogs are more susceptible if not vaccinated properly. Puppies younger than seven weeks, born to mothers who haven’t been vaccinated against the virus, are extremely susceptible. Once infected, puppies are severely weakened. The virus spread through sneezing or coughing from an infected dog or wild animal. Also it can be spread through direct contact with fresh urine, blood or saliva. The transmitting indirectly by shared food and water bowls and equipment is also very common. Infected dogs can shed the virus for months, and mother dogs can pass the virus through the placenta to their puppies. Because canine distemper also impacts wildlife populations, contact between wild animals and domestic dogs can facilitate the spread of the virus. The virus attacks a dog’s tonsils and lymph nodes and replicates itself there for about one week. It then attacks the respiratory, uro-genital, gastrointestinal systems, and finally the nervous system. Initially, infected dogs will develop watery to pus-like discharge from their nose and eyes. They then develop fever (≥103.5 ° F, or 39.7° C), coughing, lethargy and reduced appetite. A weakened immune system leaves an infected dog open to secondary infections like pneumonia. When the virus attaches the gastro intestinal system they get diarrhea and vomiting. Distemper is often fatal; the dog dies after 2-5 weeks of infection. The dogs that survive usually have permanent, irreparable nervous system damage. Veterinarians diagnose canine distemper through clinical appearance and laboratory testing. In Sri Lanka most of the vet clinics have diagnosis facilities. There is no cure for canine distemper infection as it is a virus disease. Treatment typically consists of supportive care and efforts to prevent secondary infections; control vomiting, diarrhea and neurologic symptoms; and combat dehydration through administration of fluids. Dogs infected with canine distemper should be separated from other dogs to minimize the risk of further infection. Avoid contact with infected animals and wildlife. Use caution when socializing puppies or unvaccinated dogs at parks, puppy classes, obedience classes, doggy day care, dog boarding and other places where dogs can congregate. Routine cleaning and disinfecting your home (or kennel) will ensure that the virus is not in your dog’s living environment. Vaccination is crucial in preventing canine distemper. Vaccinated dogs very rarely get the disease. In Sri Lanka puppies should be vaccinated at the age of eight weeks and the booster vaccine at the age of three months. Thereafter annual vaccination can be given from any government or private veterinary clinics. Avoid gaps in the immunization schedule and make sure distemper vaccinations are up to date. Distemper vaccine is a triple vaccine which is called as “DHL”. In this vaccine the immunity is given for two other diseases namely Canine Hepatitis and Canine Leptospirosis. You should understand that most of the Distemper affected dogs die and neverwill transmit the disease to human. 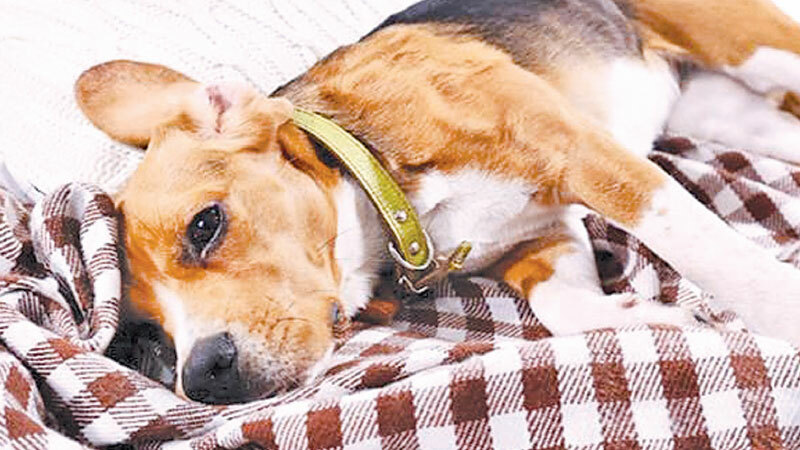 Treatment for Canine Distemper is given only to support the dog to survive. Therefore it is recommended to keep the dog in isolation under strict veterinary supervision; preferably hospitalized in a vet hospital for 24 hours service. If you keep the pet at home place it in a comfortable warm place. Clean the eyes with saline water. If it can eat give warm diets. If vomiting and diarrhea start do not feed and go for intravenous fluids. The animal may pass stools unconscious. Blood also will pass with stools at the later stages. The bed should be clean if contaminate with diarrheic stools. When the animals show nervous signs it is paralyzed. Support for movements of the animal with utmost patience is highly needed.